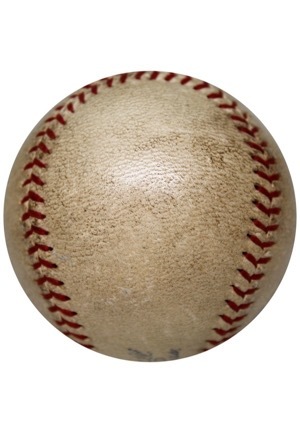 Reach manufactured OAL Harridge baseball. 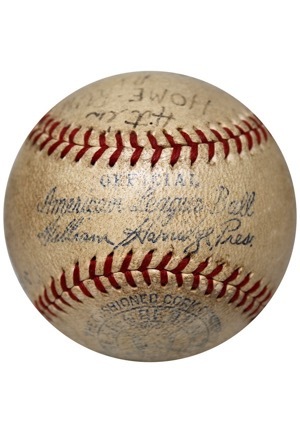 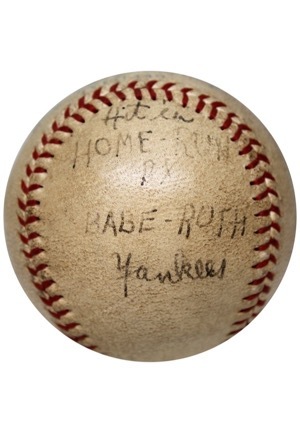 On the North panel handwritten reads “Hit a HOME RUN BY BABE RUTH Yankees”. 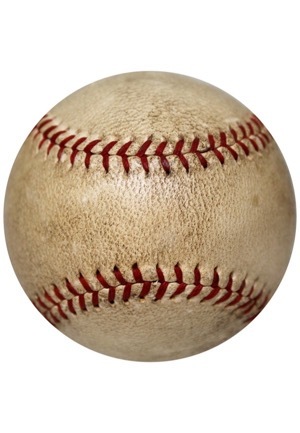 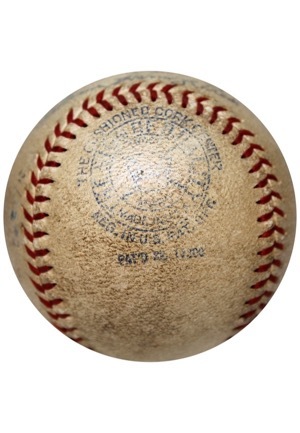 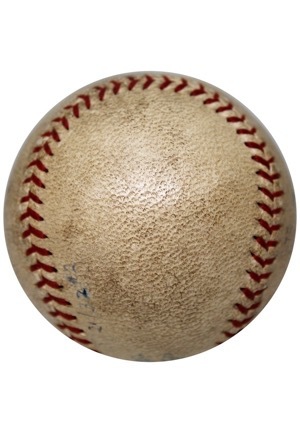 The ball shows evidence of game-use with even overall even toning and light staining.